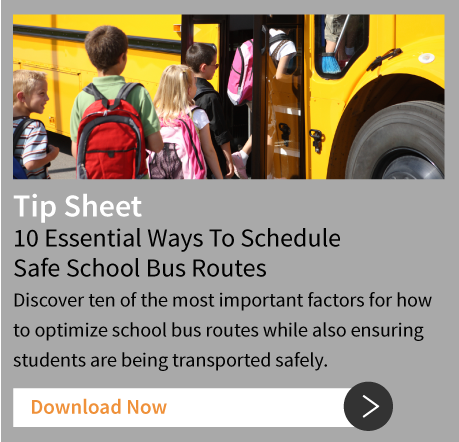 BusBoss has been a member of the Schools Interoperability Framework Association (SIFA) since August of 2005. This means we’ve spent the last decade actively engaged in an industry-supported technical blueprint for K-12 student management software that enables diverse applications to interact and share data seamlessly. The industry standard designed by SIF provides full data integration and accuracy among all student management software programs attaining SIF compliance. 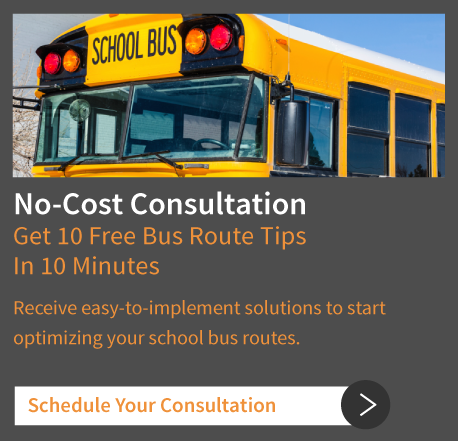 The BusBoss™ SIF Agent automates the process of adding, withdrawing or changing student information simultaneously in BusBoss and your school district’s student information system – eliminating duplicate work and reducing the chance of error. This means manually exporting data from your student information system database to update BusBoss is no longer necessary. Click here for a list of frequently asked questions about SIF implementation. 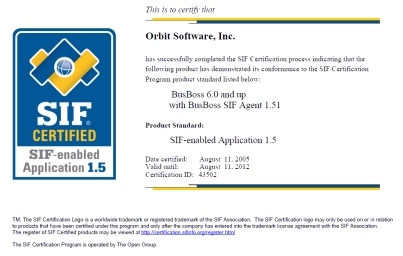 View a Conformance Statement Summary for a list of the SIF 1.5 objects supported by BusBoss.